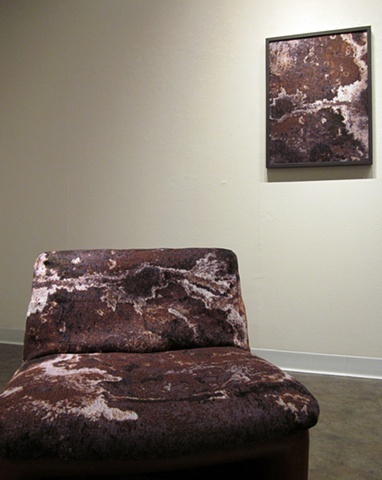 I wove the same imagery for the wall piece and chair. It is considered "art" if it is framed on the wall. Is it still art if it is on a chair that people can sit on?